Our goal is to spend the time up front to understand and improve the process itself. Many companies make the mistake of simply converting their current processes into a digital format. Our goal is to understand the purpose behind the process. By asking some basic questions, we can begin to design a process that provides real-time feedback with a user-friendly system. What processes within the plant are involved? 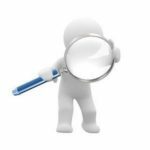 What parameters do you want to monitor? Are there other controls in the plant that need to be in communication with this system? 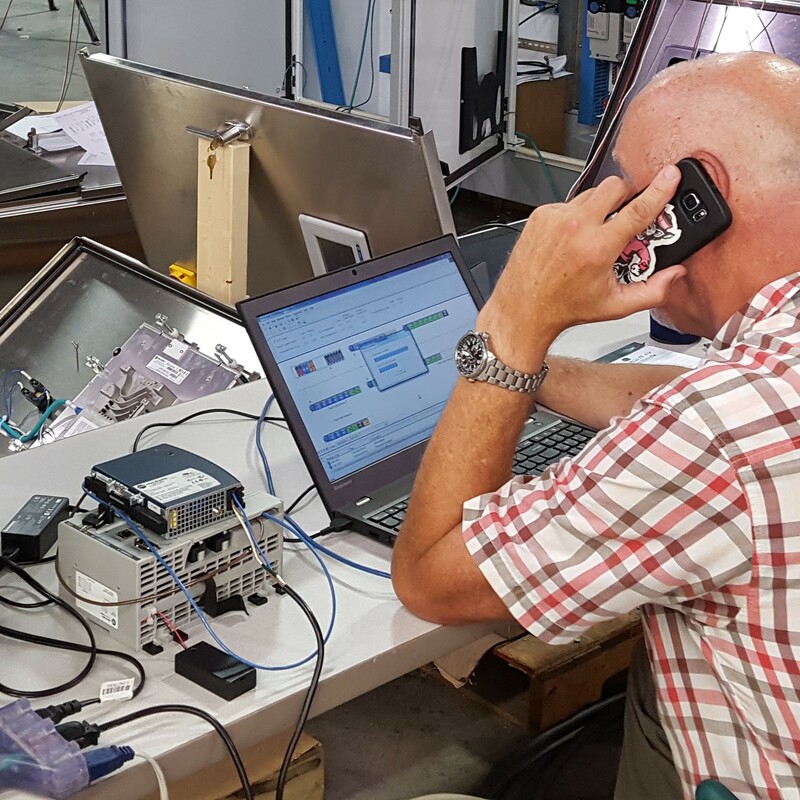 PLC’s increase the consistency of a process and improve productivity through real-time monitoring and stability correction. Common applications include flow, speed, temperature and/or pressure control. 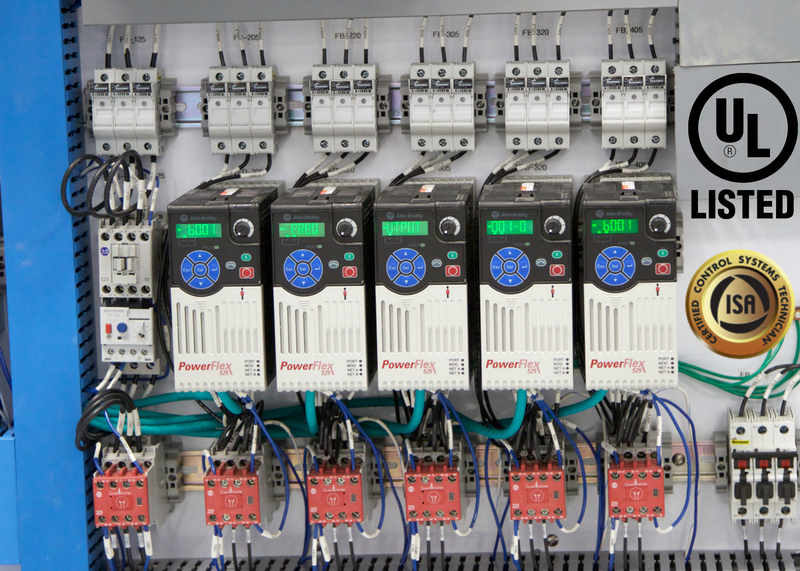 From simple start/stop functionality of a motor to full CIP cycle programs, we provide you simple control of complex processes. Whether it’s working with a legacy system or designing a new one, we make sure that your systems are integrated and in communication with each other. 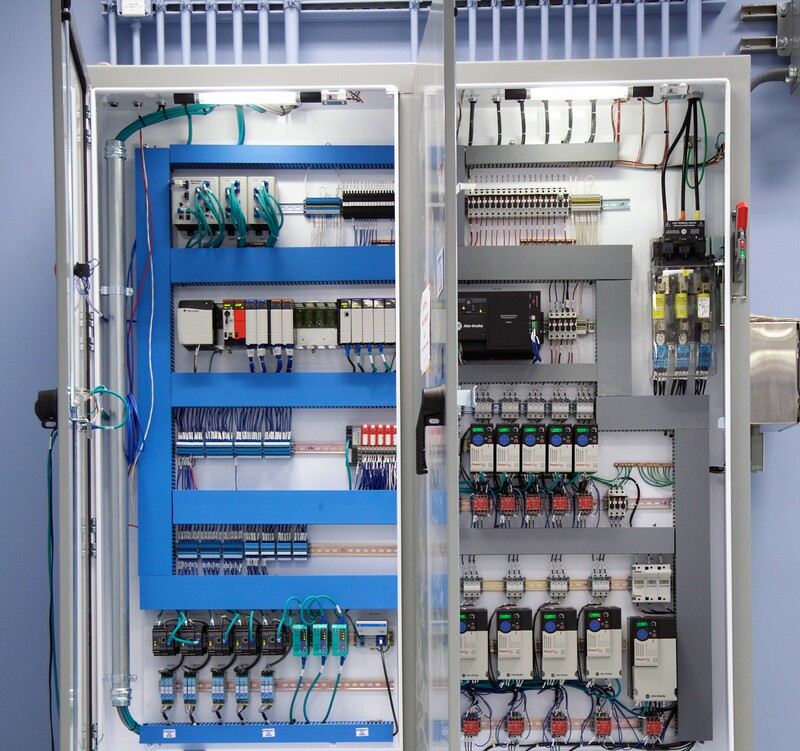 Complete systems designed to optimize your process and meet your requirements. 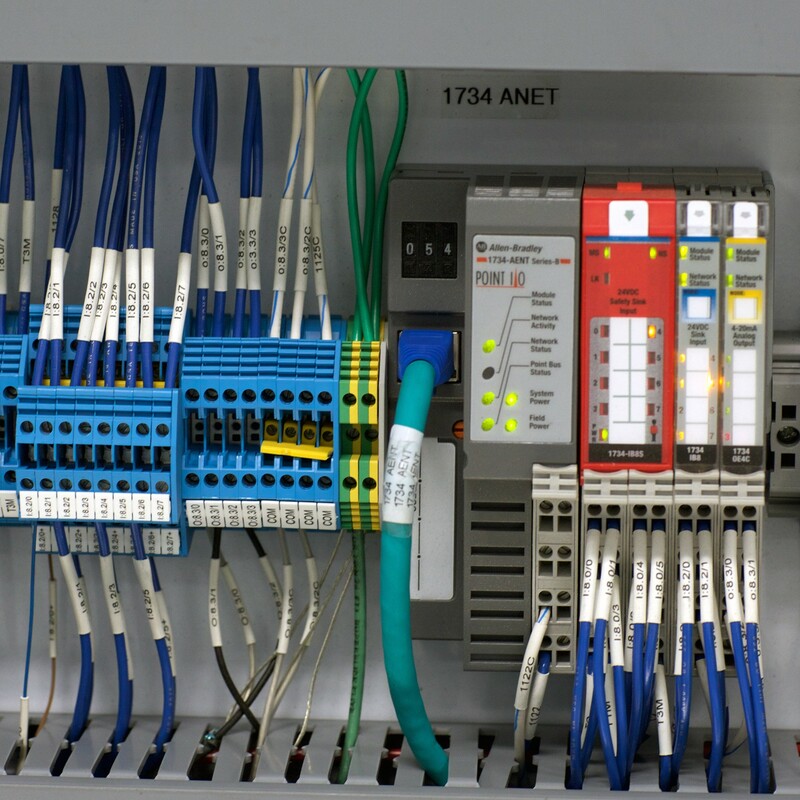 Whether batch or continuous processes or SCADA networks, we make sure all your systems are connected. 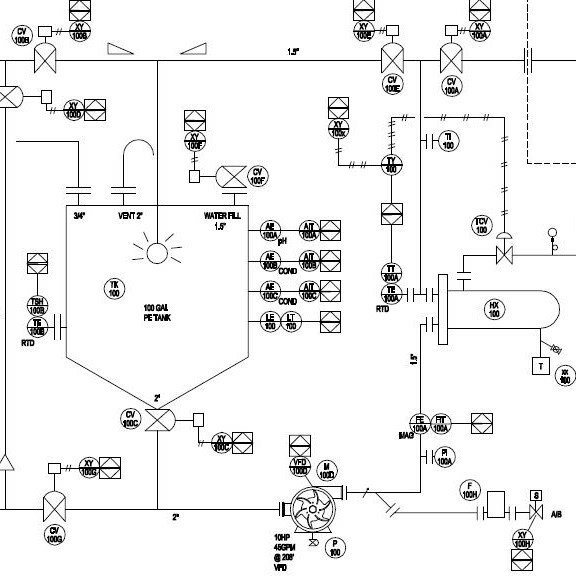 Detailed schematics integrated with your process. A complete turnover package including drawings, BOM’s, operating manuals and more. 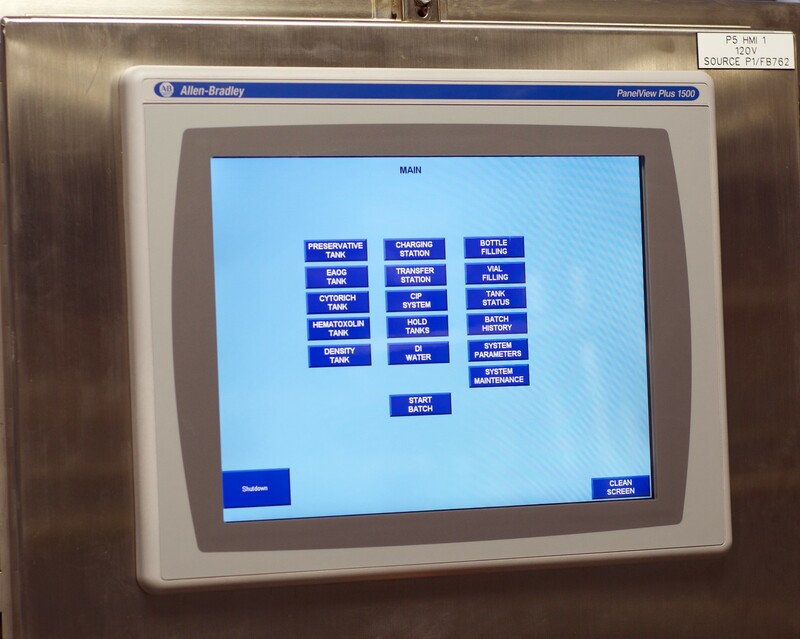 Operator training is included with all system installations including process monitoring, new process entry and recipe entry. Email sales@mgnewell.com or call 336-393-0100. M.G. 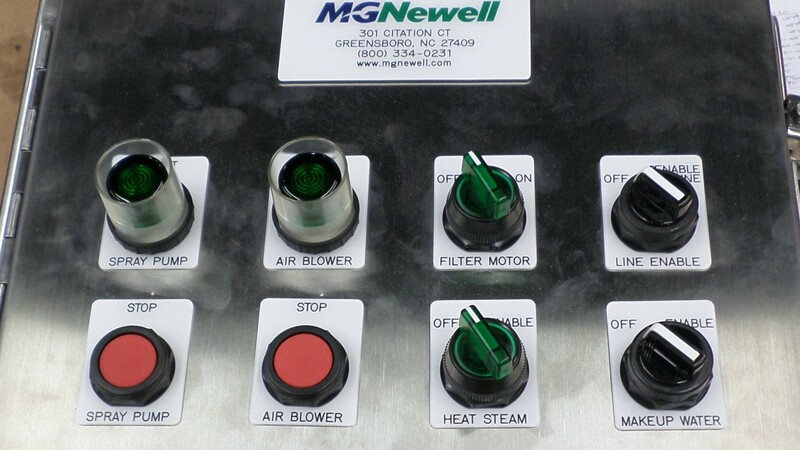 Newell offers graphical, user-friendly display options for your system controls. Whether switches, keypads, touchscreens or more, we’ll design, specify and install the right HMI for your operating process and environment. 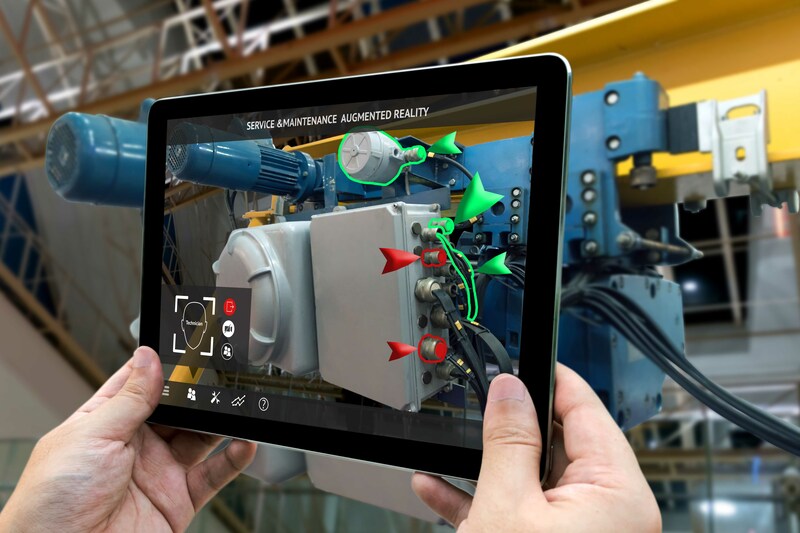 Properly designed HMI’s put your data into context to increase the operator’s awareness. Our goal is to easily illustrate status updates for normal and abnormal conditions and tasks to perform in both situations. 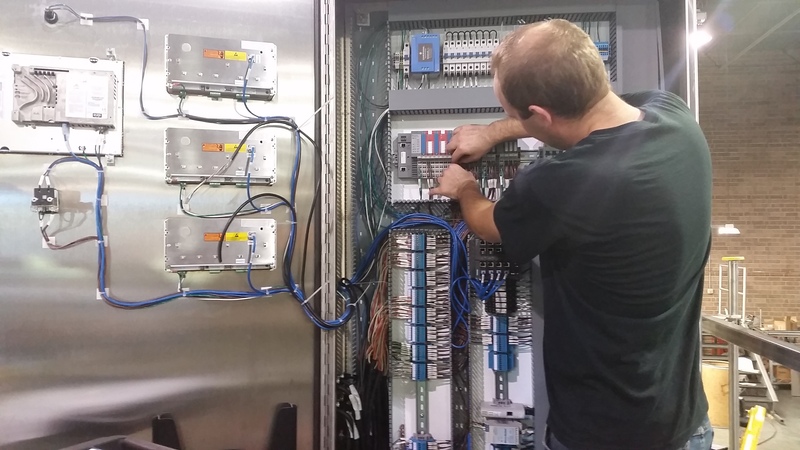 Our control panels are designed and built with safety in mind. 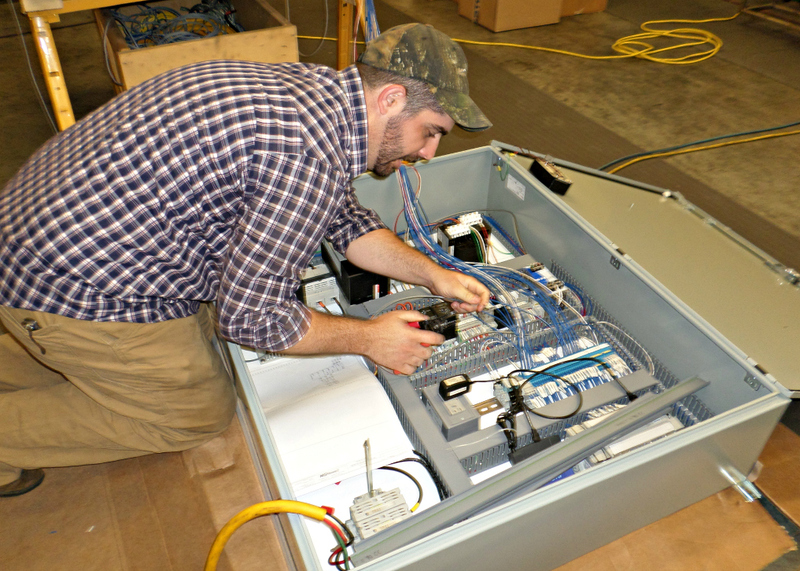 Fabrication is performed in a UL-508A certified shop with panels meeting NFPA, NEC and UL-508 regulations. Our specialty is sanitary processing, therefore panels are built for wash down compatible (NEMA 4x) sanitary environments. Explosion proof panels are optional. 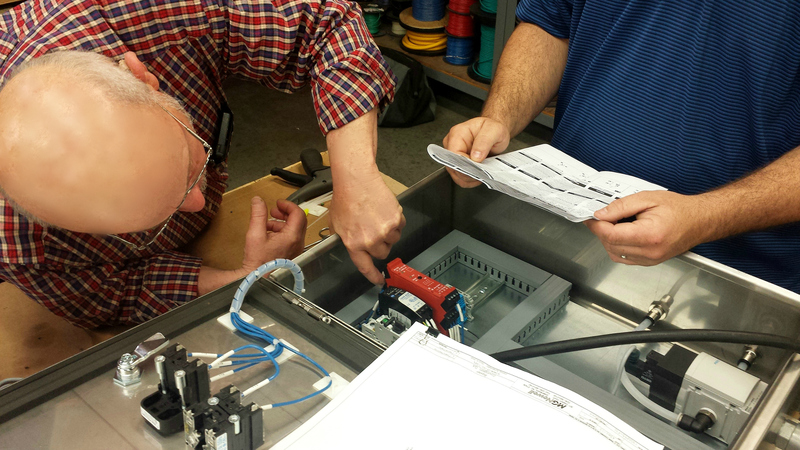 Certified Control System Technicians (CCSTs) oversee the pneumatic, mechanical, and electronic instrumentation. 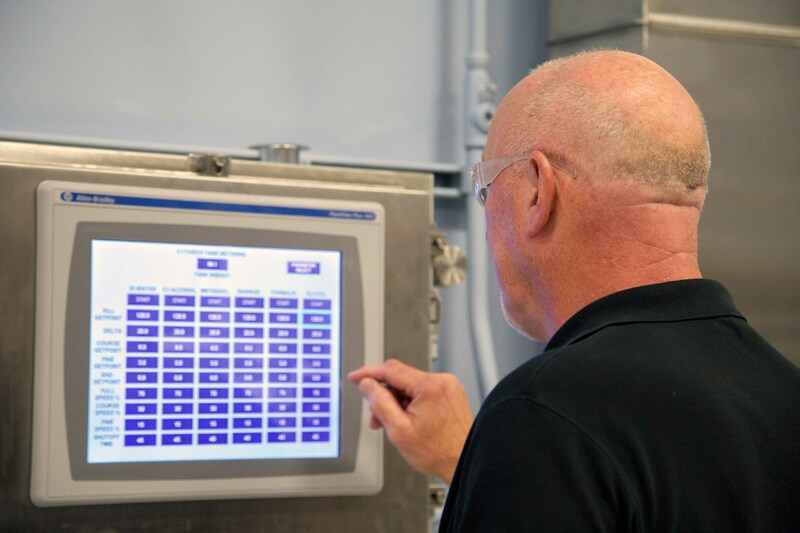 They understand process control loops and process control systems, including computer based systems. All panels are Lock-Out, Tag-out compatible. 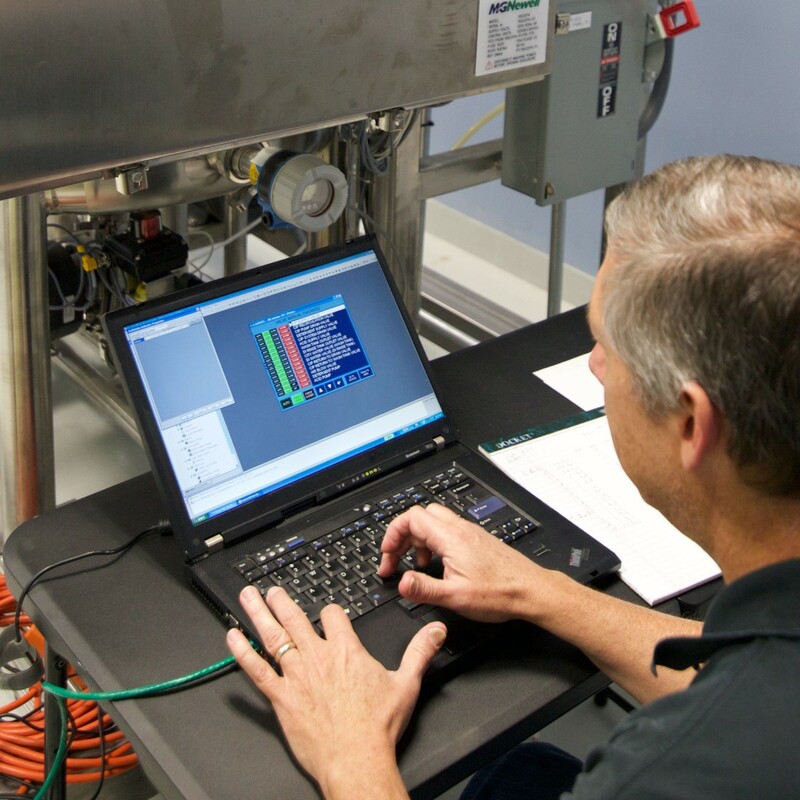 In addition to our design and fabrication services, we offer other services to help you optimize your systems and your workforce to meet the changing needs of today’s market. 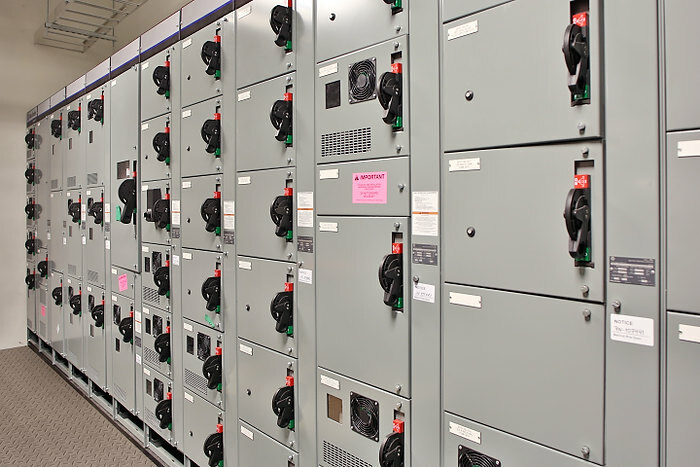 Outdated systems can become increasingly expensive to maintain. 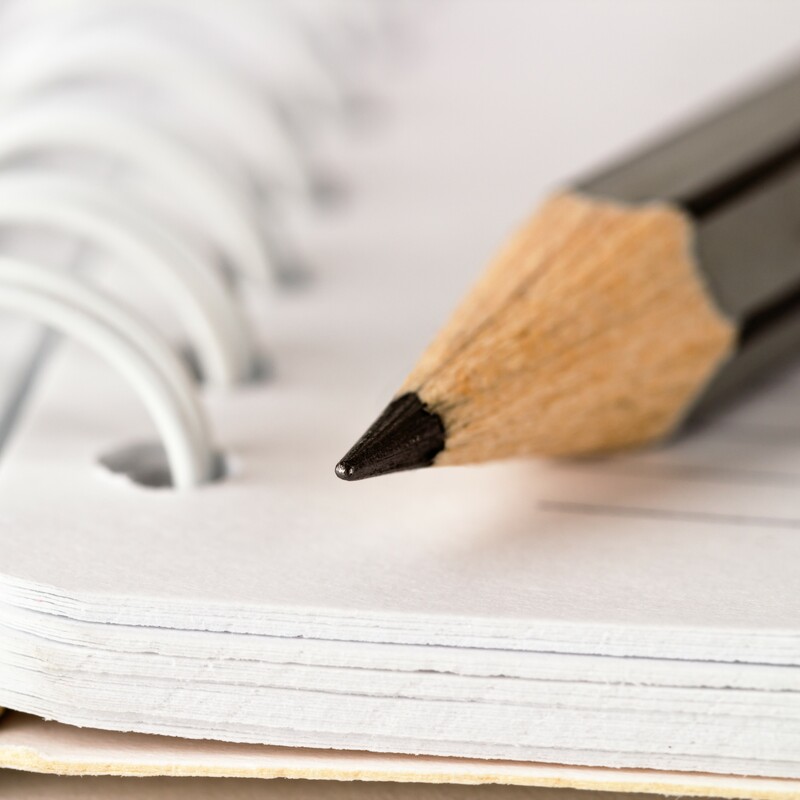 Contact us to perform an audit to answer your questions and determine whether an upgrade is needed. 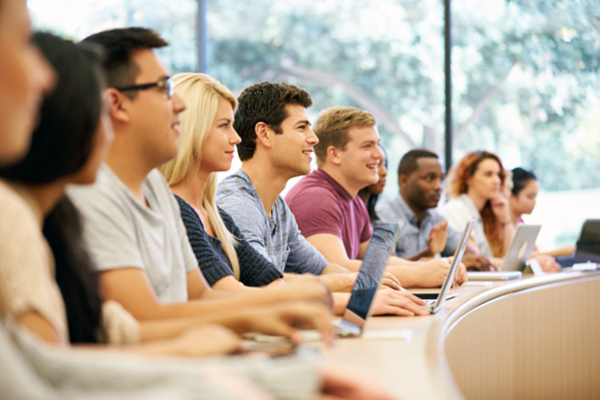 Newell University is a seminar series designed to provide equipment and/or process training. Classes can be held at your facility or in our office.